Washingborough Hall Hotel is a privately owned 14 bedroom country house hotel, located just two miles from the historic city of Lincoln. Specialising in private dining events and weddings, the hotel is heart-warming and elegant in all the right measures. The hotel is owned and managed by Lincolnshire couple born and bred, Edward and Lucy Herring. 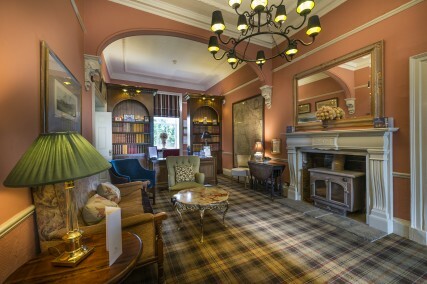 This Country House Hotel has stood for 250 years and retains its original elegant Georgian character but has been lovingly refurbished to cater for the requirements of today&apos;s discerning guest. Free WiFi is available throughout the hotel and there is extensive free parking on site. 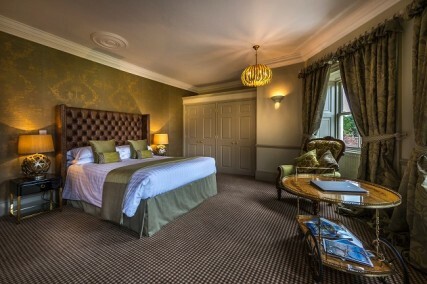 The Hotel has 14 charming, well equipped bedrooms, including two four-poster rooms plus the Churchill Suite. The rooms vary in size from singles and classic doubles to superior and four-poster rooms plus the super spacious Churchill Suite. All rooms are individually designed and retain the best of their original Georgian features, but come well furnished with modern flat-screen televisions and Free Wifi. Think handsome drapes, soft carpets and absurdly comfortable beds. Guest rooms have facilities to make a cup of tea or coffee accompanied by homemade biscuits, for that little something special. The Double AA Rosette Award Winning Dining Room Restaurant serves a seasonal British Menu with a selection of the regions finest produce, prepared with skill and served from the heart. This beautiful Lincoln Country House Hotel is very popular for special weddings and other private occasions. Function Rooms accommodate meetings, small conferences and private parties up to 150 people. Enjoy afternoon teas at the hotel from £19.95 per head. A delicious selection of homemade cakes, scones and sandwiches. 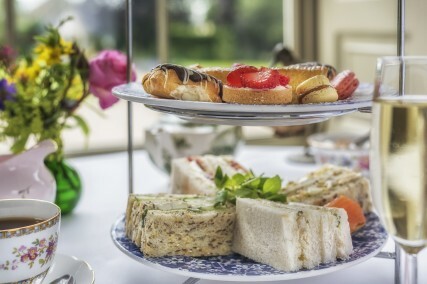 The hotel does occasionally cater for larger groups (20+) requiring Afternoon Tea -what better way to celebrate a birthday with your family and friends than enjoying &apos;Afternoon Tea&apos; in the relative splendour of Washingborough Hall. Three function rooms catering for small meetings of up to 50 delegates. Specialising in bespoke and exclusive weddings. Formal sit down catering for up to 80 people. For informal we have the capacity for 120 people. We are licensed for civil ceremonies. The bubbles are on us! This two-night dinner, bed and breakfast break includes a complimentary glass of Prosecco each evening before dinner, for just £195 per night. 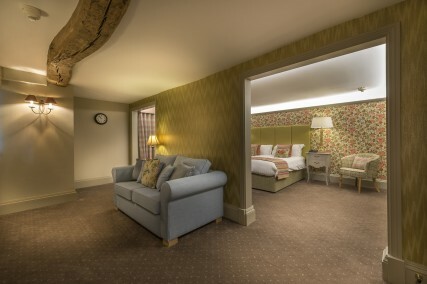 Offer includes: Two night&apos;s accommodation in one of our individually designed boutique bedrooms, a glass of Prosecco each night before dinner, three-course dinner in our AA rosette restaurant, unrestricted choice of dishes from our seasonal a la carte dinner menu and a cooked Lincolnshire breakfast each morning. Price is per room, per night, based on two people sharing a Classical Double bedroom. Offer ends 30th September 2017. Stroll Along the River Witham into Lincoln&apos;s historic city centre. Shopping - Browse over 200 independent and high street stores throughout the city centre. Eating - many independent and chain restaurants and restaurant pubs to appeal to all tastes. History - The city is steeped in history with the Cathedral and Castle. Look out the for infamous Lincoln Imp, you&apos;ll find within the cathedral grounds. Send an e-mail to Washingborough Hall Country House Hotel, Lincoln by filling in the form below. All fields are required.